When donating or selling a car, tax considerations cannot be ignored. Learn about tax responsibilities for business, personal, and antique vehicles. You might not realize that selling a car has potential income tax implications. There are different tax scenarios for businesses and individuals, and you should be aware of how tax laws affect your personal situation. Companies or business owners usually deduct the depreciation of vehicles purchased for work on their income tax returns. Because of this, the vehicle's sale may create taxable income. In fact, businesses are required to file IRS form 4797 and calculate any gain or loss on the vehicle. If the vehicle is sold for an amount greater than the amount that has been deducted, it is taxable. No income tax is due on vehicles that are sold at a loss. Individual taxpayers seldom sell vehicles for more than they paid. Since the private sale of used vehicles usually results in a net loss, there is usually no income tax liability in these transactions. However, if you buy a vehicle at a low price and flip it for a higher price, that profit is taxable as personal income. Collectible and classic cars may require careful consideration for income tax purposes. They're often purchased and kept for a number of years -- during this time, owners frequently spend lots of money on their restoration and maintenance. They also tend to rise in value. When sold, classic vehicles frequently fetch much higher prices than sellers paid. In most cases this capital gain creates a federal tax liability. But remember: You can reduce this gain by counting any restoration costs as part of the price your paid for your car. When you donate your used vehicle to a worthy charity it usually winds up at an auction. 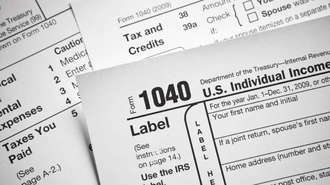 The IRS will allow you to deduct the price it sells for on your income tax return. Can I Trade in My Car with Expired Registration? Do You Pay Sales Tax on Used Cars in Texas if You Have a Trade In?